Whether you are graduating soon and looking for your first job or currently working and ready for a change, starting your job search can feel like the first step of your ascent up Mt. Everest. Between school or work, you might feel like you don’t have time to also look for a job. We have worked with hundreds of people to successfully and quickly land their dream jobs, so we wanted to provide the first 3 steps to kickstart your job search. There are so many different types of jobs available, so take time to think about what you want in a job before getting started with your search. This will help make sure that you are focusing your search. Do you want to work at a big company or a small startup? For small startups, try looking for jobs on AngelList or Venture Loop. For bigger companies, try LinkedIn or Google Jobs. Does your experience or interest lend itself to a specific topic within your field? It is always better to narrow down your search. 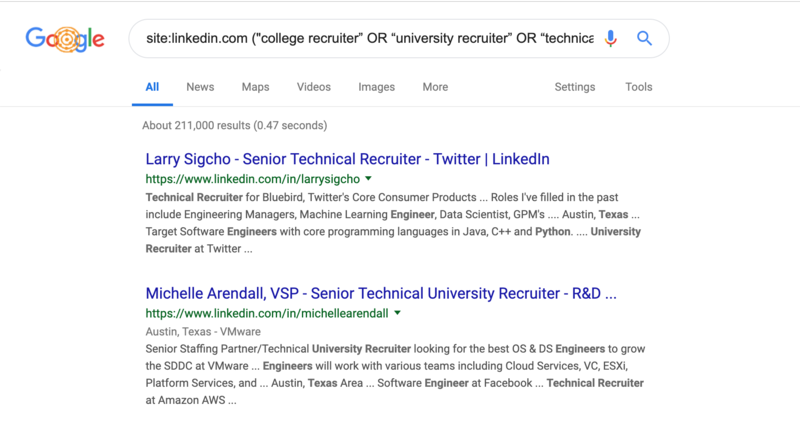 Searching for “software engineer” on LinkedIn yields 211,320 results, versus “machine learning engineer,” which has 4,270 results. A smaller search means that you have less uninteresting positions to look through and is generally less overwhelming. Are you looking to collaborate with others or do you prefer working on your own? A good look at your work style is helpful when reading the job descriptions for positions you are considering. Knowing what you like and don’t like will help you eliminate roles that might not be a good fit for you. Once you have determined the types of roles you’re interested in, it’s time to optimize your resume and online profiles. In the content of your resume, make sure you highlight the impact of your work and quantify your results. Even if you did not get the results you thought you would, showcasing the numbers behind your work will help impress the importance. Make sure your LinkedIn is completely up-to-date and beef it up with links to your work. These links help recruiter and hiring manager fully realize what you did in your previous experiences or at school. Allowing them the opportunity to explore your websites, apps, and GitHub profile will give them more tangible items to remember you. To optimize and expedite your job search, we recommend utilizing an x-ray search so that you can avoid scrolling through positions that are not interested in. This is a way to cut through the noise and create your own job boards. By searching for exactly what you want in the right format, you can see everything in your results. Pathrise is a career accelerator that works with students and young professionals 1-on-1 so they can land their dream job in tech. With these tips and guidance, our fellows find jobs, on average, in 3 months. If you want to work with any of our advisors 1-on-1 to get help with kickstarting your job search, become a Pathrise fellow.